I’ve branched out into another subscription box – Goodie Goodness was getting too repetitive for me so I’ve cancelled it (although I’m getting the March box. Not entirely sure I understand how). 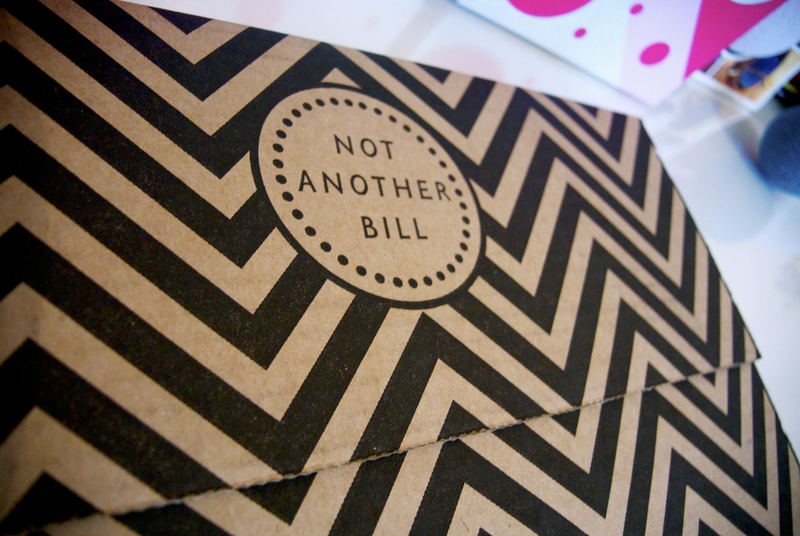 Anyway, after spending a good few hours clicking around subscription box websites, I stumbled across Not Another Bill. 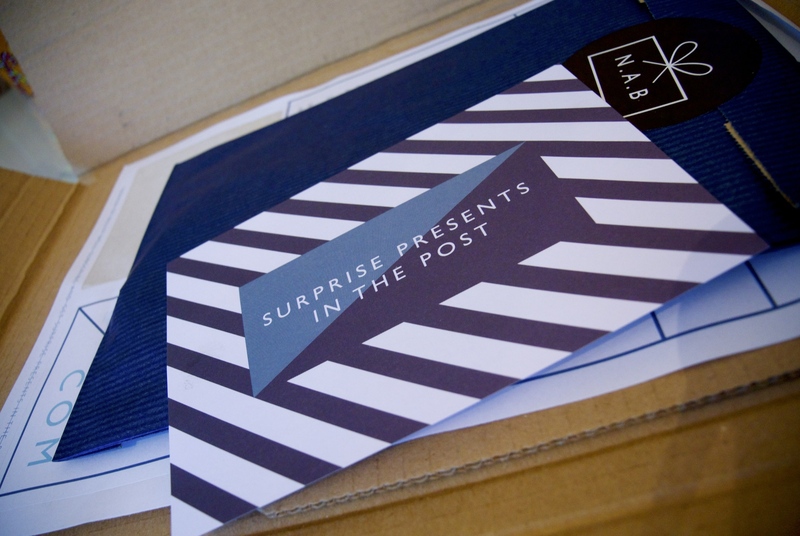 What interested me about Not Another Bill was the opportunity to details preferences – I’ve initially chosen jewellery, home wares, and stationery – and how they match this up to what you get in your parcel will be very exciting. 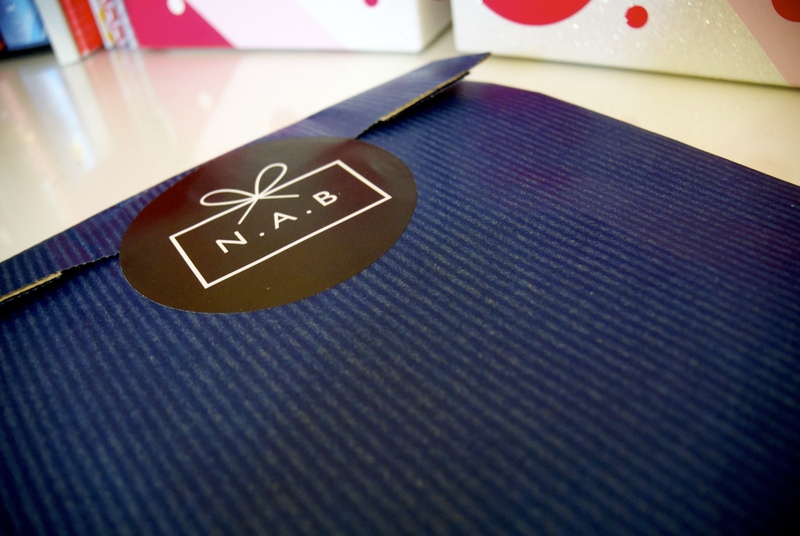 I also really liked many of their past presents and I felt confident when I placed my order. I got home from a shopping trip today to find a very beautiful parcel waiting for me in the letter box. I really like the bold aesthetic they’ve gone for in their packaging. Surprise presents in the post – yes please. Quite a slim bag – what could be inside? A mirror! Which I of course had to take outside to photograph because my house is insanely messy at the moment. Kudos for an original gift – I would never have guessed mirror. 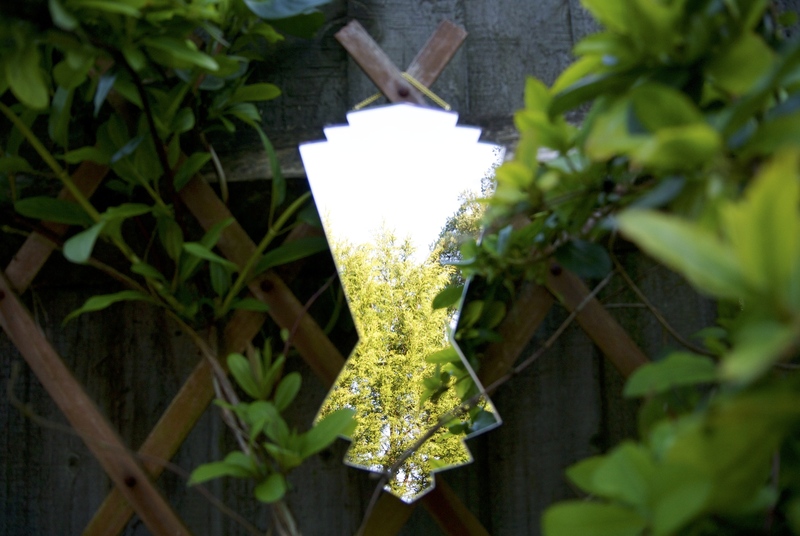 The mirrors are made by Haidee Drew, and she’s made two different designs exclusively for NAB. I received the art deco mirror (because I’m a lady person) and I’d be interested to see the “manly heraldic crest” that they’ve also sent out. I’m more than happy with my first box, and have been looking around the house to find somewhere to put it. That said, I have noticed that they collaborated with Haidee Drew a couple of years ago, so I suppose if you’ve had a subscription since then, you might be a bit miffed at a duplicated gift. Fortunately, as this is my first parcel, it’s a score for me! Such a relief to read that you didn’t receive a single card or vase cover!